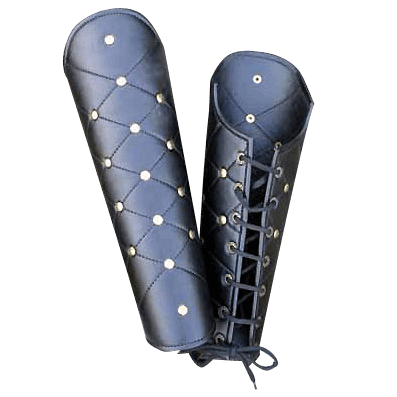 These beautiful greaves are made from heavy grade leather and though thick, are easy and comfortable to wear all day long. They are good for a large variety of outfits. 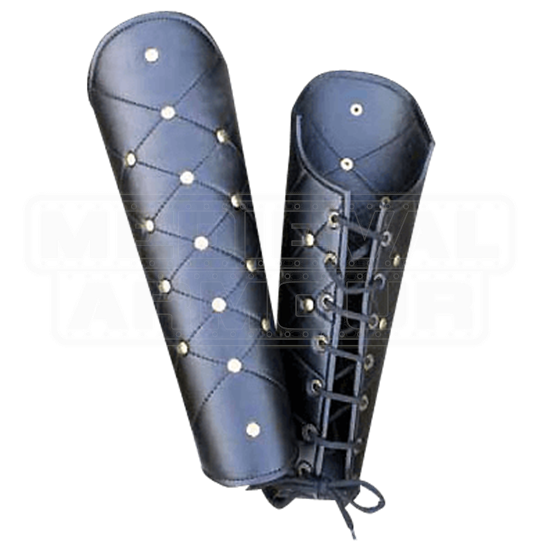 They are studded and feature lace up closure.